Great American Charters is a group and event management company, referred to us by one of our clients to build their business website and application. Being new to the industry, we had our Business Analyst work with the client to understand his requirements and make suggestions to build his application and website. The outcome is a web application that helps the client to pitch his customers with Trip Itinerary, Vehicles, Cost and details such as Trip distance and travel duration. A custom designed high CTA website allows him to gather more leads for his business. We are in an ongoing work relation with the client and have been working with him from more than 6 months now. Google Maps Integration - We have carried out a heavy Google Maps integration in the application that allows the Admin to review the “Total distance of the trip” and the “Time of travel”. Whereas, in the website, Google Maps are integrated to allow the Admin to easily Add Location Pins for the locations their service is available in. Large Database Management - Managing huge database was one of the challenges that came with the project. With close to 10,000 Vendors along-with large number of Quotes and other data to be managed in the application, we had to come-up with optimized database structure to ensure quality performance of the application. Different Actions and Functions - There are different types of trip types that trigger different actions and approach to follow. 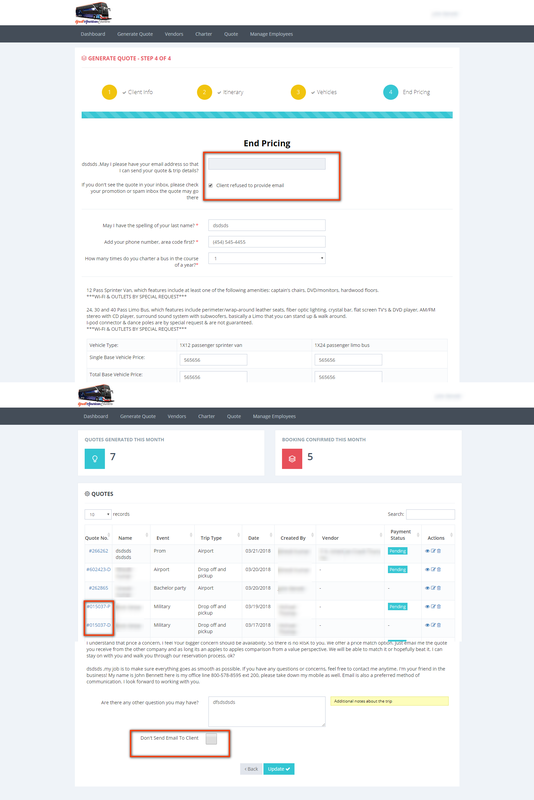 For example, the “Drop and Pickup” trip option triggers two different emails to the customer one for drop at destination and other for pick-up. 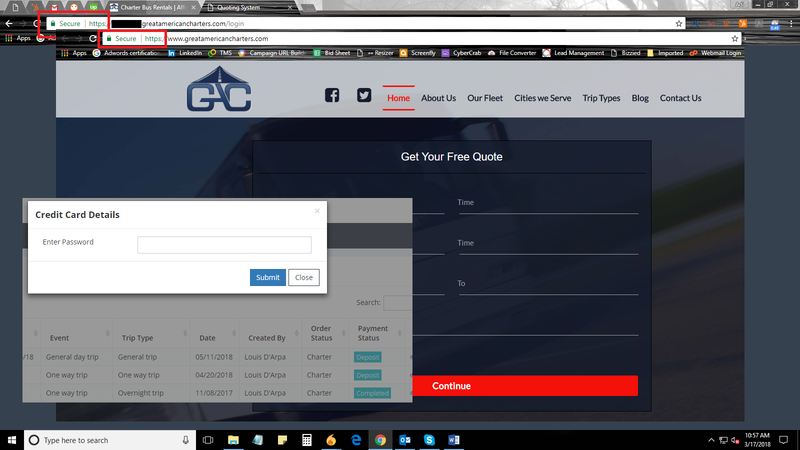 There are different functions available to the Admin at the time of quote generation such as “Choose to send” email to customer or not, modify form fields based on information available, etc. Security features - With a lot of sensitive user data, security of the website as well as the application had to be taken care of. We covered many of the security risks with complete custom development in Laravel and SSL integration. Apart from this, there are security features built to prevent unauthorized access to user data such as separate password authentication for user to access user data. Custom CMS - The website is custom designed and allows the user to get free quotes from the Admin. The website has been built with the main objective of generating more leads and has a high CTA ratio. We have built a custom CMS for the website. 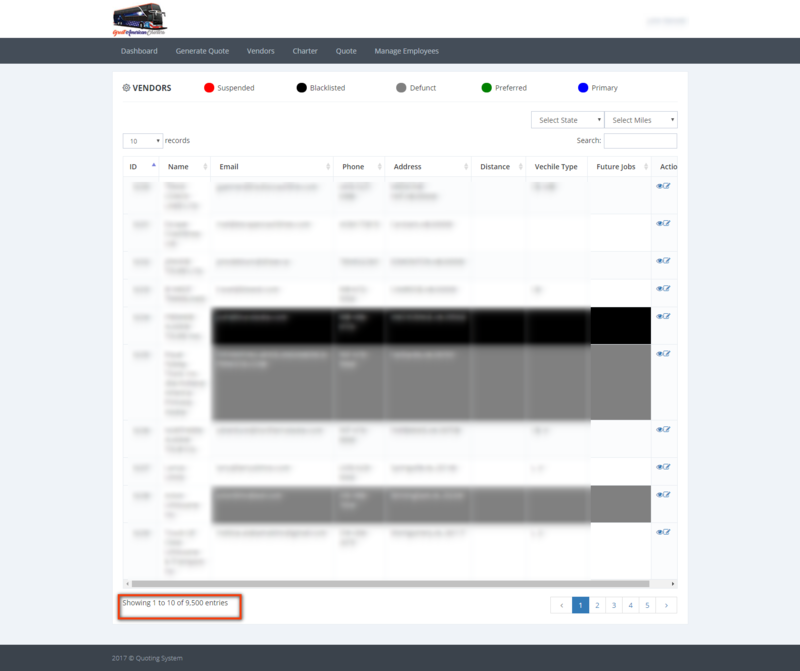 Each form on the website, when submitted triggers an email to the Admin, that can be viewed in the back-end. At “Cities We Serve” page, each State when clicked takes the user to the “Places to visit” for that particular State and is manageable from the back-end. There is also a Blog section available with different categories of blogs and ability for the Admin to add custom tags to each blog.